On December’s episode of our HR Insider Podcast, we sat down with Alyssa Light, a keynote speaker who is revolutionizing the interviewing process. Below, she shares several ways to flip the interview process to recruit the most creative individuals. However, Alyssa does more than throw interviewees into a room together. Part of the requirements for the interview include certain items to bring and show to the group. Each of the three items tells a different story about who the applicant is and how they interact with others. This truly allows a person’s charisma and flexibility to shine through. The second item is something a person found at the dollar store that begins with the second letter of their middle name. Again, this encourages a person to display their creativity. One of the most common letters is A; there are many routine things people bring, but despite this, there’s still room for them to branch out and grab something uncommon. The perfect example: a woman came in where the second letter of her middle name was U. Alyssa points out, “the letter U is not something most things start with. You think about umbrellas. This woman said, ‘Oh, I didn’t want to just bring an umbrella.’ Instead, she walked up and down the aisles looking for things until she found some utensils. She thought, ‘these are so practical because afterwards, I can actually use these, and I got them in my favorite color. They actually only had pink, and white, and blue out, and I really love green. So I had to go find somebody to ask if they could get me some green ones off the shelf.’” This woman was able to show her personality in a way people who chose umbrellas weren’t able to. The activity portion of the interview creates the most possibilities. 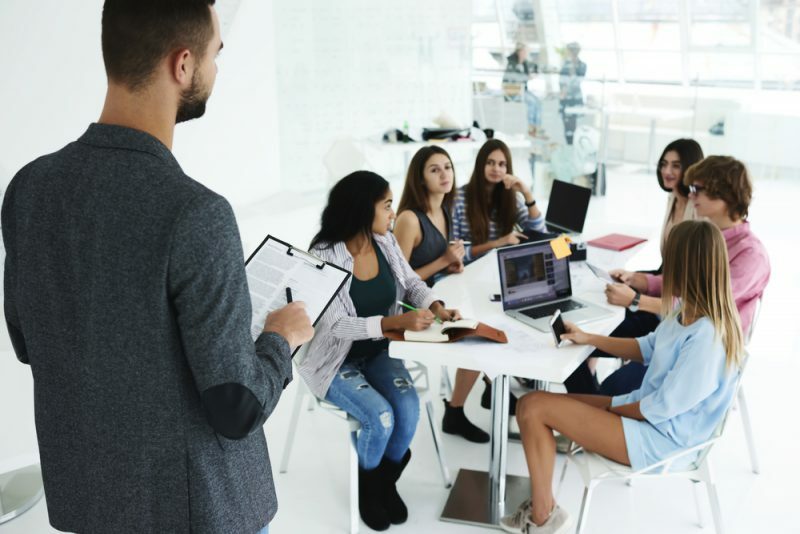 Not only does it allow a person to showcase his or her leadership abilities, but it also shows how a group member responds to that leadership. Sure, such an email might throw the candidate off-guard, but it will certainly keep them more involved in the process. You can also learn a lot from them based on the questions they ask you. Ultimately, the interview is about having a conversation. Although, “At the end of your interview, you want to have about three standards questions that you ask that are asked to everybody. Remember that in some places, there are regulations or legal requirements for creating a fair and equitable interview. So make sure that you know what those are and you follow those.” It’s a great idea to make one of those three standard questions something about the worst part of the job they’re going to do just to see how they’ll react. These innovative interview strategies are making a huge impact on the way companies conduct their business. And you don’t have to be a creative agency to utilize them; industries across the board can benefit from tenacious, free-thinking individuals. If you’re interested in getting in contact with Alyssa Light, reach her at 519-362-3281 or alyssa@theprofitableinnovator.com with any questions.